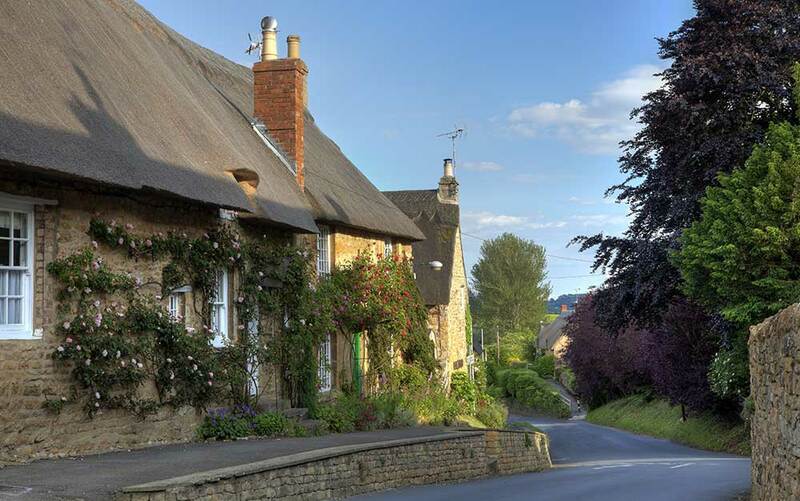 Don’t let bare, boring walls bring your garden down – climbing plants can turn an unused corner of your garden into a breath-taking feature. 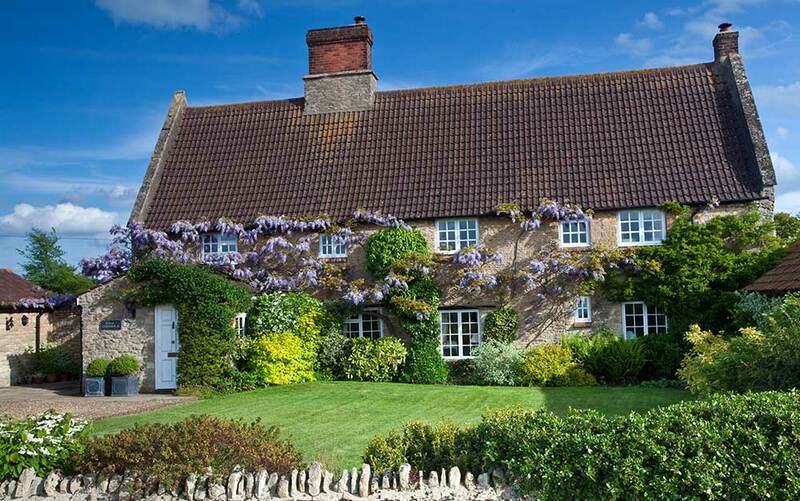 Nothing speaks of an English cottage garden like a beautiful wisteria or climbing rose, framing your windows and doorways, and adding barrels of character to your home. But there are tons of great climbers to choose from that will match any taste and available space. 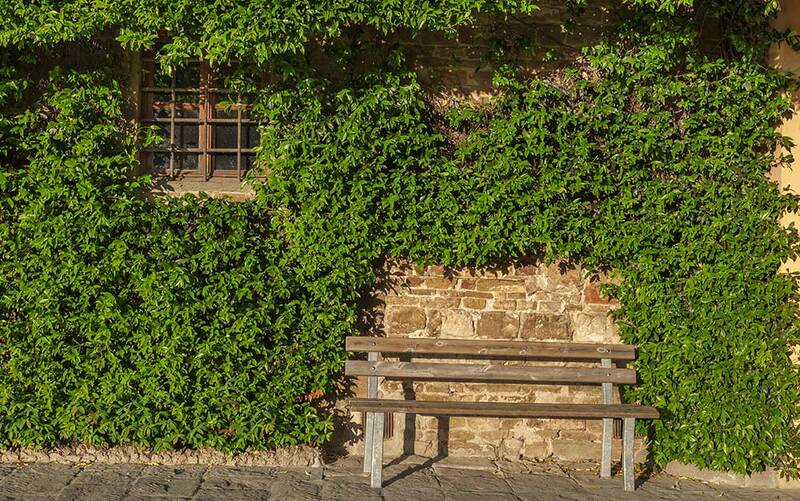 And it’s not just walls, of course; climbers (known in some places as creeper plants) can change the entire look of a fence, pergola or archway too. You will need to put a bit of thought into what climber suits your spot. 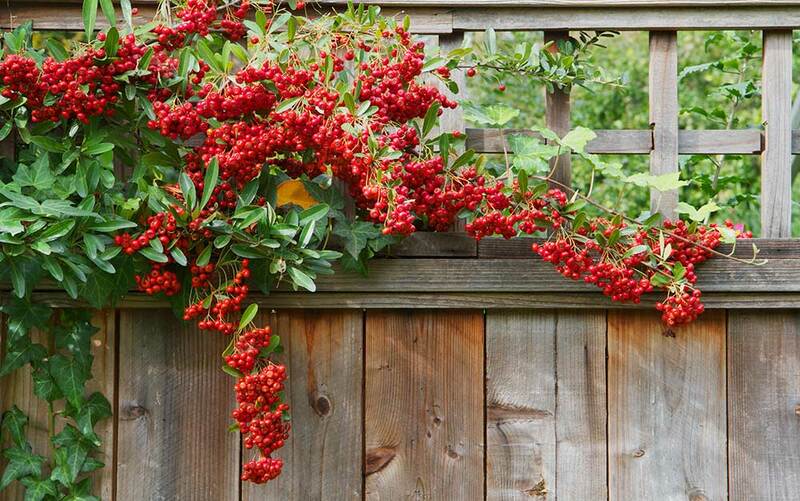 Some climber plants are vigorous and more suited to a large and open wall. 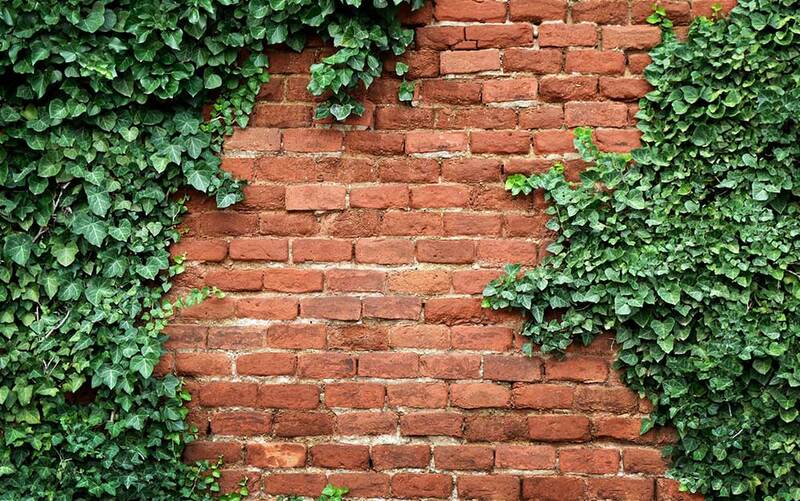 Being against a wall also means they will get a very specific amount of light, so sun-loving and more tender plants will want a south or west facing wall which absorbs the sun’s heat in the day, whereas hardier and shade-tolerant plants can cope with your chillier north and east facing aspects. 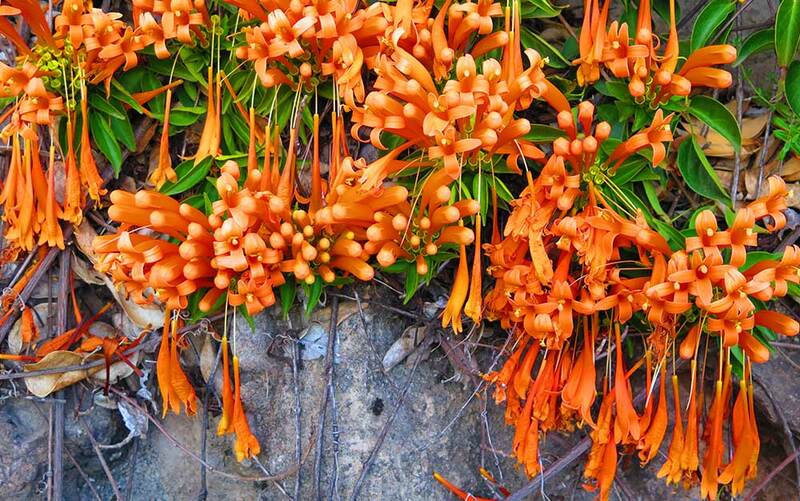 Rainfall can be limited by walls and eaves, so think about the plants needs and how much you may need to water it. Finally, think about how much training and pruning the plant needs, and whether that matches the time and energy you have to offer it. Climbers work in different ways. 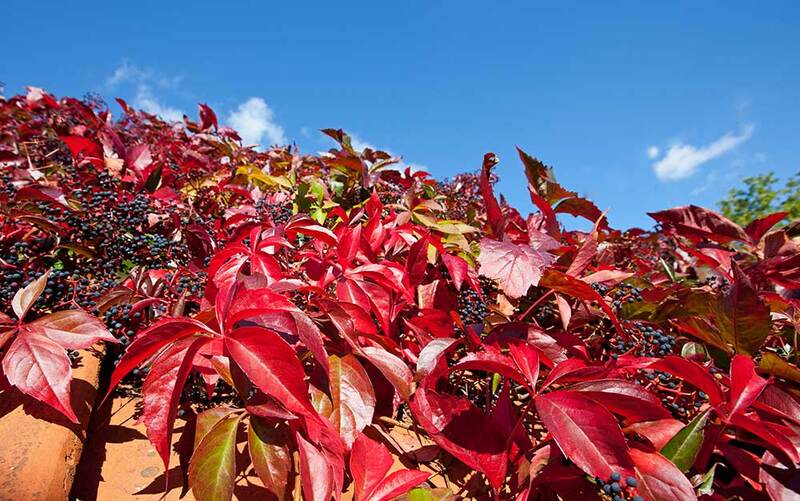 Some plants, such as ivies and virginia creeper, will cling to surfaces naturally via aerial roots, however they will leave marks if you ever remove them. 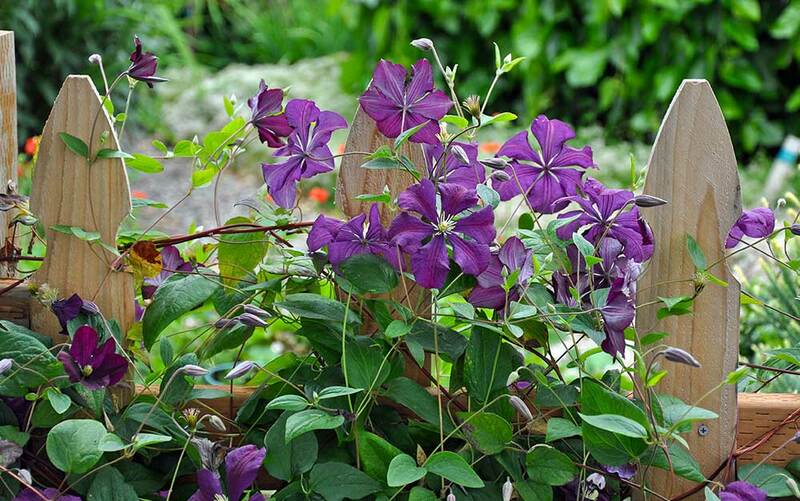 Others, such as honeysuckle or clematis, will need a framework like a trellis. 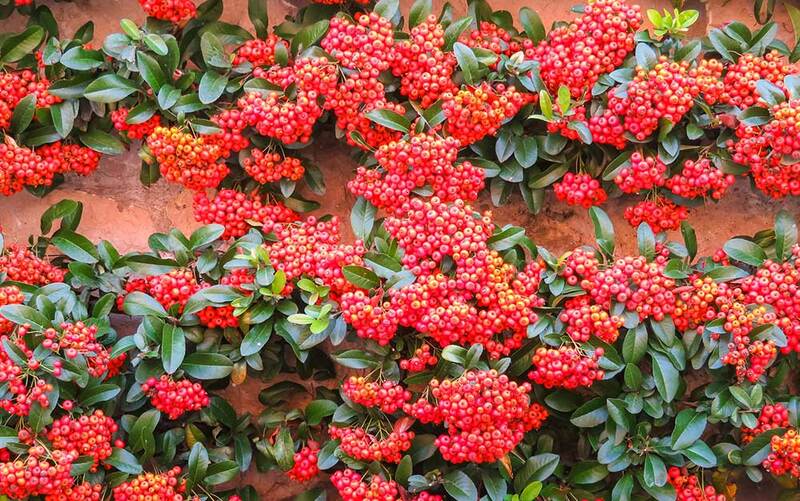 Wall shrubs like the pyracantha don’t climb naturally and must be trained, but will just lean against the wall once established. Planting in the soil is always better if you can; many climbers will grow fine out of a container for a while, but over time they outgrow their pots and become difficult to water effectively. If it is over a patio, remove a slab if you can and plant there. Just be sure that the soil next to the house isn’t full of builder’s rubble, and dig in plenty of fresh compost. Plant it 30-45cm away from the wall. This will help the rain, which can be blocked by the eaves of the house or the plant’s own foliage, to reach the roots of the plant. It also means the roots have a little more space to grow. All climbers need at least a little initial training. Using crossed wires or a trellis, tie on the new shoots with soft garden twine. 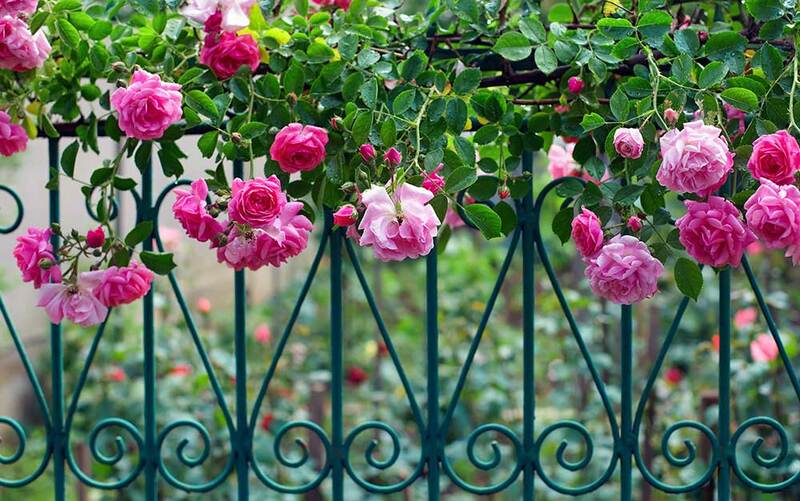 If you are growing a climber that will need a framework, be sure it is very securely attached, as the climber will become incredibly heavy with age. South and west facing walls are warm and bright; they absorb the heat from the sun during the day and retain some of it throughout the night, so they are perfect for your less hardy plants. 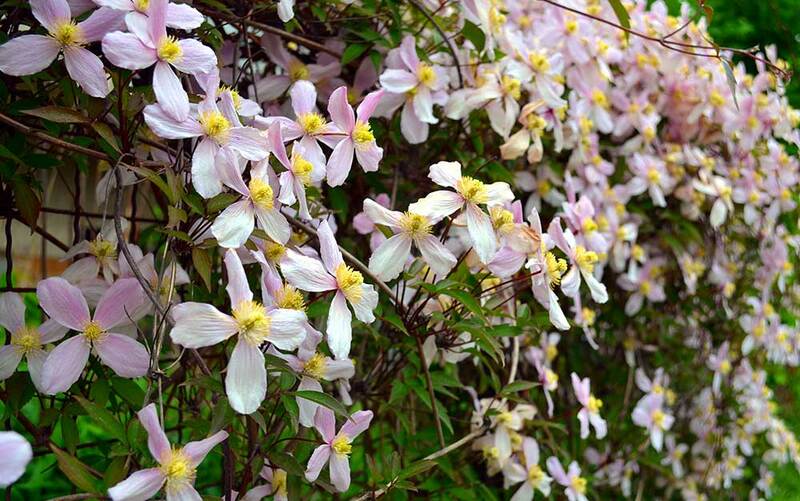 Winter-flowering climbers also work best on a south or west facing wall. The soil will be more prone to drying out so mulching with organic matter or even with pebbles will help conserve moisture in the summer. Whatever the case, you will want to water well during periods of dry weather, especially in the first few years after planting. 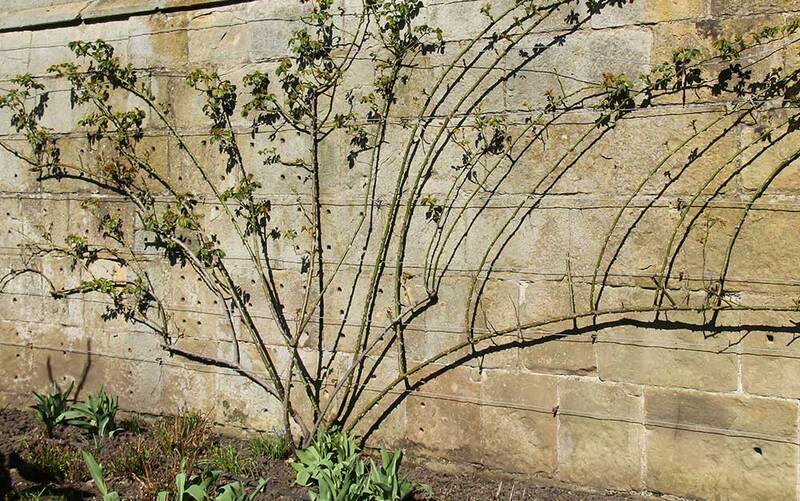 If you’ve got a sunny wall to plant on then a few of my favourites are jasminum officinale, rose, and wisteria. Jasmine and rose can be great to fill your garden with fragrance, and the wisteria is just beautiful and classic. 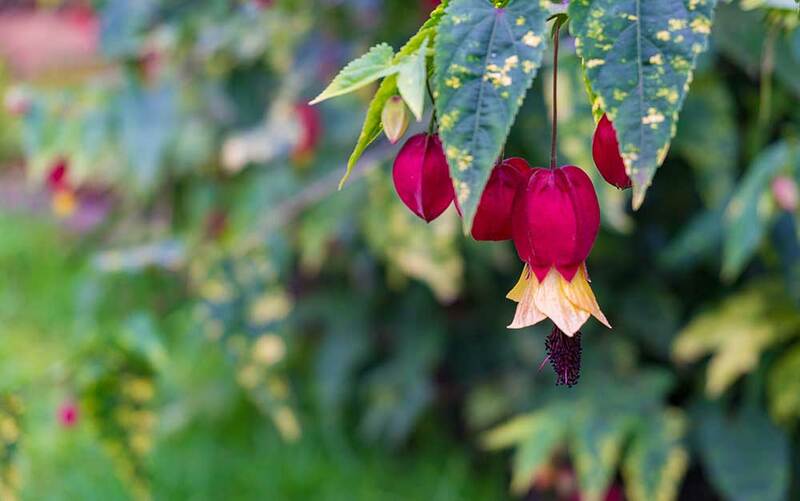 For something really unique, abutilon ‘Kentish Belle’ is just stunning, but it is not as hardy and will only survive in warmer parts of the country. 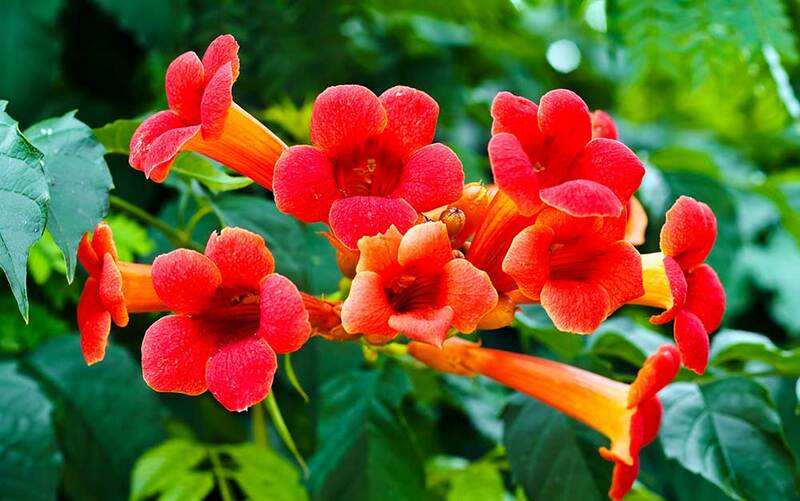 However, it must be said that campsis radicans, the trumpet vine, is one of the most popular creeping plants out there at the moment that requires full sun, and it really is gorgeous. 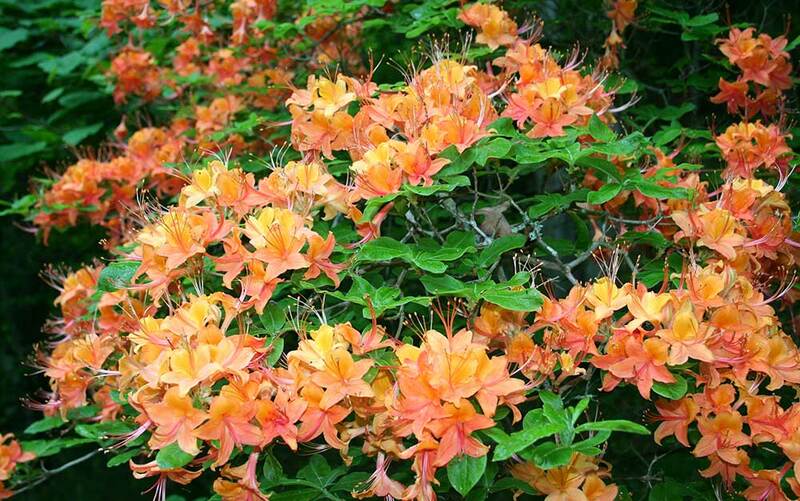 For spots that don’t get much sun you could go with clematis, honeysuckle, ivy, or pyracantha ‘firethorn’. 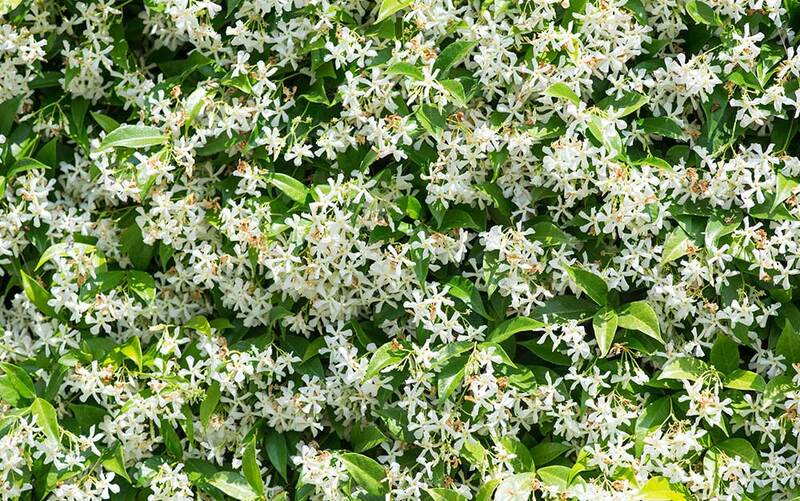 Clematis require very little pruning, ivy needs no support, honeysuckle is beautifully fragrant, and the pyracantha is bold but will stay small and manageable. 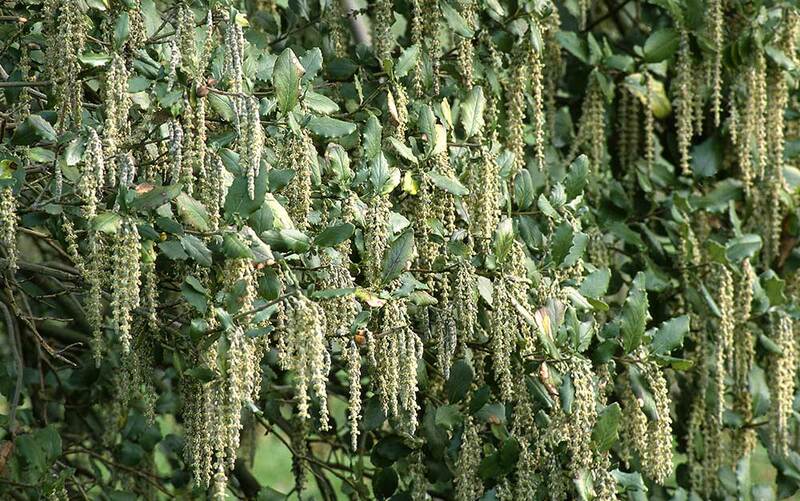 Garrya elliptica is another favourite – a stunning and unusual wall shrub that is very shade tolerant. There are so many great climbers to choose from, but talk to someone at your local garden centre about what would suit your particular spot and circumstances. They take a little work to get established, but they pay you back dividends in style and character.